Nepal is a country of majestic mountains with great cultural and geographical diversity. It is the perfect holiday destination. It features mountains, amazing landscapes, ancient historical and spiritual sites. With such monuments and natural beauty, you will have the best tours in Nepal. The culture and traditions are the pride and strength of its people and you will definitely see the heavy influence of it while you travel here. Although it is mostly known for its Himalayan ranges, trekking there can be a long and tiring journey. So, the best alternative to this is to take the helicopter tour or the mountain flight from Kathmandu. It is an easy, convenient and fast way of traveling to the mountains of Nepal. Kathmandu itself is a land of great travel opportunities. It is the cultural and traditional hub of Nepal. You can visit some renowned UNESCO World Heritage Sites and marvel at the beauty and the craftsmanship of the Nepalese people. Or you can just take a short hike or cycle around Kathmandu Valley. Due to its diverse nature of the terrain, it is an ideal place for mountain biking and short hikes. Pokhara is another city famous among the tourists for a more relaxed holiday. Beautiful lakes, sunrise view, amazing scenery are some of the highlights of this place. Allow us to usher you through some of the best tours in Nepal. If you ever wanted to see the panoramic view of the Everest but detest going on the forever long trek, go easy and book the mountain flight. The Everest mountain flight provides you with all that is just an hour of time frame. This mountain flight is the perfect tour to experience the Himalayas of Nepal in the most comfortable and easiest way. Everest Mountain Flight operates daily at 6 in the morning. The planes are a small 18 seater aircraft and everyone gets a window seat to ensure you get the best possible view of the Himalayas. It flies over a number of mountains and glaciers. The flight attendant/pilot will give you all the necessary information on the views on board. 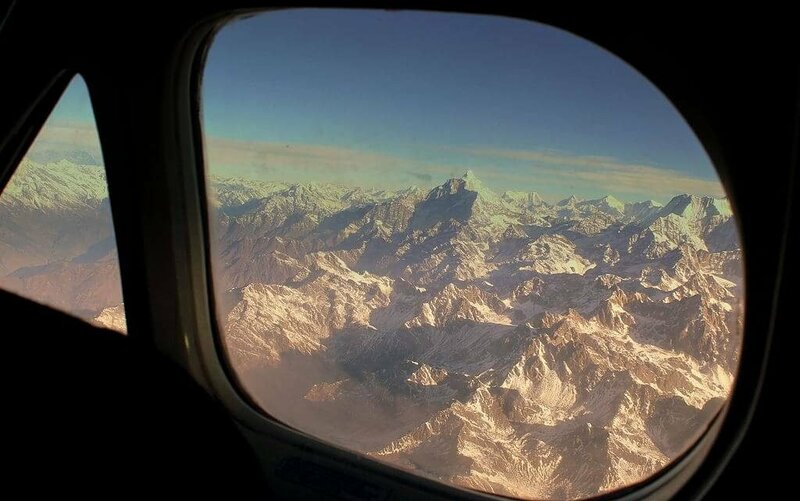 Once the aircraft is approaching Everest, everyone gets a chance to go to the cockpit for the best view and to take pictures of the Everest. It is one of the most popular activities for tourists and so, makes the best tours in Nepal. 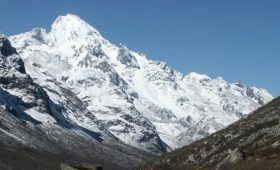 And possibly the cheapest and convenient way to experience the spectacular beauty of the highest mountain in the world. Cycling in and around Kathmandu Valley is another great way to explore the valley. This Kathmandu Cycling Tour is 5-6 hours of a round trip which takes you through Balaju- Mahankal- Jarankhu- Balaju. It gives you an opportunity to explore and understand the culture, traditions, and landscapes on the outskirts of the valley. The chance to mingle with the local people and trying the local delicacies is the highlight of this tour. The diversity in the terrain of Kathmandu is what makes this tour a fascinating and adventurous. This hiking tour is perfect for people looking to hike along the majestic mountains and stunning landscapes of Kathmandu. 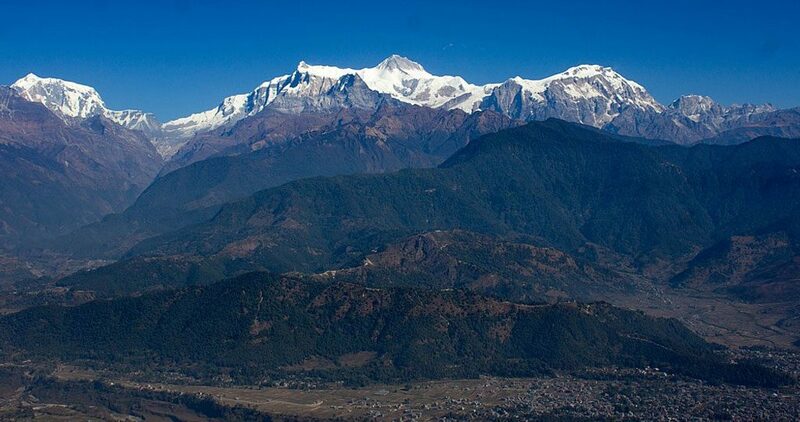 This tour takes a total of 6-7 hours and starts from Changu Narayan, which is one of the UNESCO World Heritage Sites. It is also the oldest temple of Nepal. Escaping from the chaos of Kathmandu, you will drive for about an hour to reach Changu Narayan. From here your trek to Nagarkot, the closest hill station from Kathmandu. The hike is slow ascend through beautiful villages and the scenic Himalayas. It’s fresh air and stunning scenery gives you a feeling of peace and tranquillity. At Nagarkot, you will enjoy authentic Nepalese cuisine. And then head to Nagarkot tower for breathtaking views of almost 38 different mountains including Everest. In the evening, you will get the most beautiful sunset view from the tower. Sunsets and sunrise are the major attractions of Nagarkot. After the sunset, you will drive back to Kathmandu. The cultural and traditional hub of Nepal, Kathmandu is home to several World Heritage Sites. If you are a history and architectural buff, this tour is perfect for you. It is a tour of carefully selected heritage sites. It showcases the rich history and culture of the Nepalese people. This tour will leave you enticed by the amazing craftsmanship of the Nepalese people. This is a one day tour which starts from Kathmandu Durbar Square. This square complex is a living museum of ancient buildings and temples. 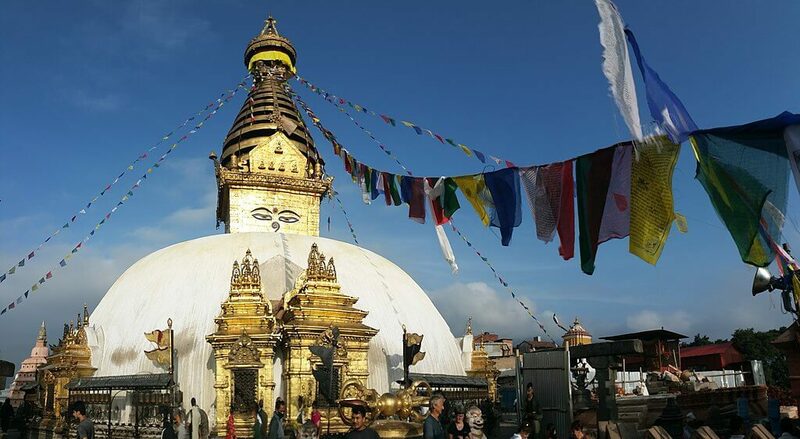 The next stop will be the Swayambhu Temple, which is famously known as the monkey temple. On top of the temple, you will also get a beautiful panoramic view of the entire Kathmandu Valley. You will then visit the Pashupatinath Temple, the most famous Hindu temple in Kathmandu. Boudha Stupa is one of the most popular tourist spots in Kathmandu. The beauty and elegance of this stupa is something you cannot put into words. The final destination of this tour is the Patan Durbar Square. 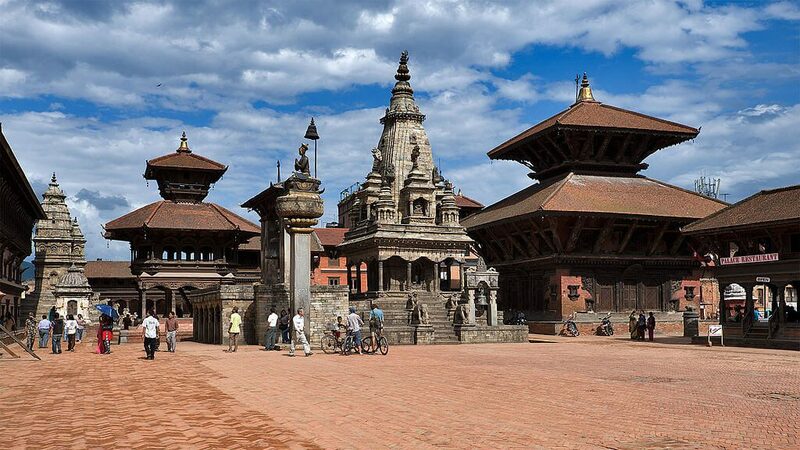 Similar to Kathmandu Durbar Square, this complex is an architectural paradise. You will get to see ancient temple buildings and try local Newari delicacies around here. Mingle with the local people and learn a few things about their daily life. Everest Base Camp Helicopter Day Tour is a one of a kind tour, which lets you set foot on the Base camp of the highest mountain of the world without any hard work. This is a luxurious way to travel to the Base Camp of Everest in just some hours. The tour starts from Kathmandu, from where you will fly to Lukla. At Lukla, you will transfer to a helicopter, which will take you to the Everest Base Camp. The helicopter flying over several Sherpa villages, glaciers and mountains make a stunning view. The helicopter will stop at Kala Patthar, the most famous spot for Everest View. After spending some time here, you will fly back to Everest View Hotel for breakfast. Eating breakfast with a panoramic view of the Himalayan ranges has to be something you will not find elsewhere. Pokhara, also known as the lake city of Nepal, is the best destination for a laid back and relaxing tour. The beautiful scenery of the hills, Annapurna range, and beautiful lakes make this place a travelers paradise. 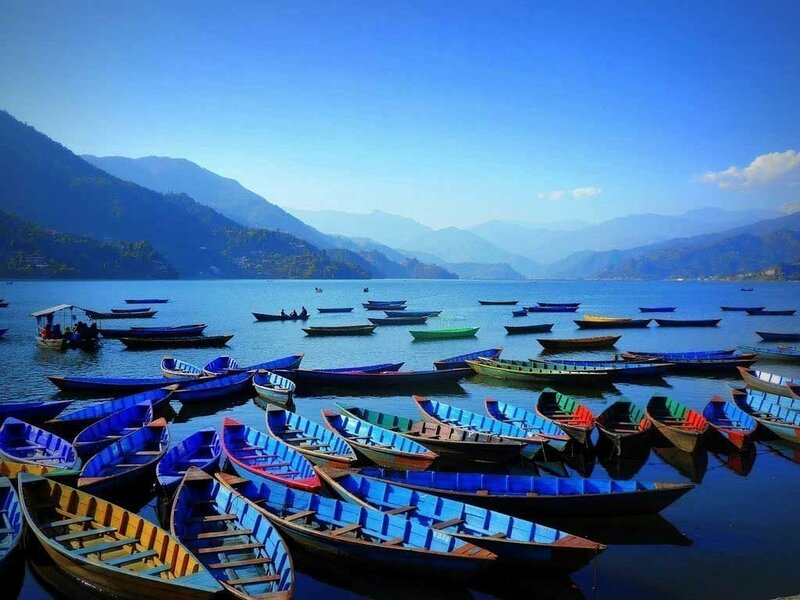 This one day Pokhara Tour starts with a visit to the Phewa Lake, the second largest one in Nepal. The other places you will visit in this day tour are Devi’s Fall, Bindhyabasini Temple, Seti Gandaki, and the world peace pagoda. This four days tour allows you to explore Kathmandu Valley’s much famed UNESCO World Heritage Sites. Even though this tour is possible in a day, it would be rather hectic to do so. So, with this several days tour, you will not only get to visit the heritage sites but will also get enough time to properly understand it and learn about it. Kathmandu Valley tour is among the best tours in Nepal. Our representatives will be there to pick you up from the airport on your arrival and transfer you to the hotel. Once at the hotel, if you have time you can explore the area near you. The second day will be the starting of your guided tours. You will be visiting Pashupatinath, Boudha, Swayambhu temples along with Kathmandu Durbar Square. It will be a day of consistent amazement and awe of these ancient monuments. The history behind the monuments and the skilled craftsmanship of the ancient Nepalese people will leave you in wonder. After breakfast, you will begin your day tour to the famous Bhaktapur and Patan Durbar Squares. These ancient Newar cities are home to several ancient high temples and complexes. Take your time to explore the area and experience and feel the history of Nepal in this modern age. After an amazing time, exploring the heritage sites in Kathmandu comes to an end. It comes as no surprise that Nepal is famous for its amazing Trekking Routes. But, Nepal has so much more to offer than just the Himalayan ranges. Nepal is geographically and culturally very diverse. There are not the only Himalayas but also low land Terai region of Gangetic plains. If the Himalayas boasts majestic mountains, the plains boast dense jungles which is home to some endangered species. The Nepal Panorama Holiday Tour is a 7 days tour which gives you the perfect holiday filled with scenic beauty and spiritual delight. As you arrive at Tribhuvan International airport, our representatives will pick you up from the airport and drop you to the hotel. You can explore the area around you after settling down in the hotel. The second and third day of the tour is for sightseeing in Kathmandu. You will be visiting various UNESCO World Heritage Sites. These heritage sites beautifully showcase the history and architecture of the Nepalese people. On the fourth day, you will be driving to the lake city of Nepal. It is 5-6 hours of scenic drive through villages, rivers, and mountains. On the way, you will be making a pit stop at the famous Manakamana Temple. This temple sits on a distinguished ridge 1,302 m above sea level. This day is for sightseeing in Pokhara. You will be visiting some of the most famous tourist destinations here. Take a walk along the lakeside and enjoy the spectacular view of the Annapurna range along with the lakes and hills. Today, you will be driving to Sarangkot, the famed viewpoint of Pokhara. It offers one of the greatest views of the Annapurna Range and other mountains. Sarangkot is also famous for various activities like paragliding, Ultralight Flight etc. Drive back to Kathmandu after breakfast. Our representatives will drop you off at the airport as per your flight schedule for the final departure. Unlike our other Kathmandu and Pokhara Tours, this luxury tour is an upgraded version of it. You will have a professional guide at your disposal and you will be traveling in comfortable private tourist vehicles. The accommodation during this tour is also mainly in 5-star hotels. With this tour, you will be able to enjoy your holiday in luxury and peace. Our representatives will pick you up from the airport and transfer you to the hotel. You can take a stroll around the places near you. Overnight at a 5-star hotel. After breakfast, your Kathmandu tour begins. You will be visiting the UNESCO World Heritage sites today. You will be taking a morning flight to Pokhara. It is a scenic 25 minutes of flight. Once in Pokhara, you will go to your hotels and settle down. After lunch, you will start your Pokhara Tour. You will be visiting Devi’s Fall, Gupteshwor Cave, and Fewa Lake. You will drive to Sarangkot early morning to watch the famous sunrise today along with the views of the Annapurna ranges. You will also be visiting the Seti Gandaki Gorge, World Peace Pagoda, and the Bindhyabasini Temple. After breakfast, drive back to Kathmandu in a comfortable tourist bus. Enjoy the views of the mountains, hills, rivers, and villages. Our representatives will drop you off at the airport as per your flight schedule. 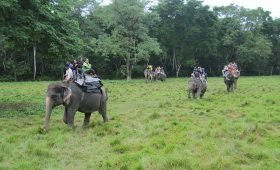 The listed tours are some of the best tours in Nepal that can be easily done within a short period of time. These are quite relaxing and will give you the best Nepal has to offer. Nepal has a beautiful, fascinating and long history. And with great geographical diversity, it is not only a trekkers/mountaineers ideal destination. In Nepal, you can indulge in some of the most incredible holidays and yes, once is never enough. Sudam was my guide for ACT trekking for these days . He is caring and kind in whole trekking . everything is well arranged, He is the best guide to me! Thankyou so much in these days!! !